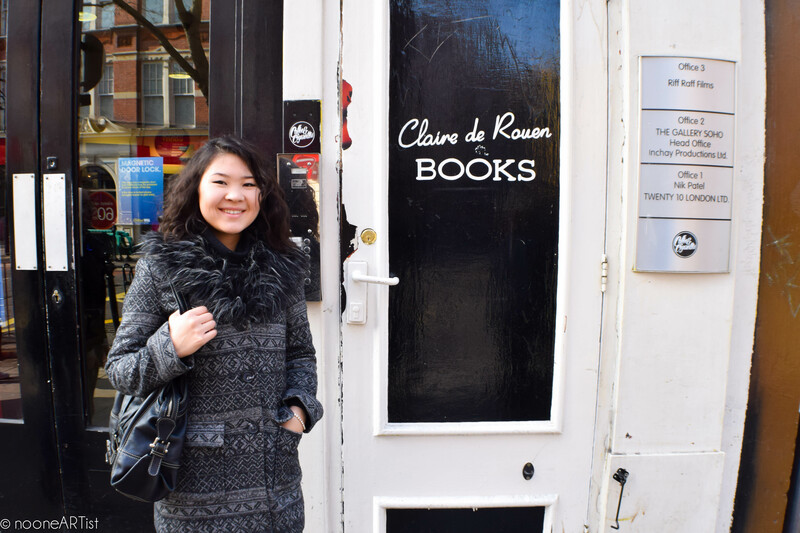 Claire de Rouen is a specialist photography fashion and art bookshop in central London. 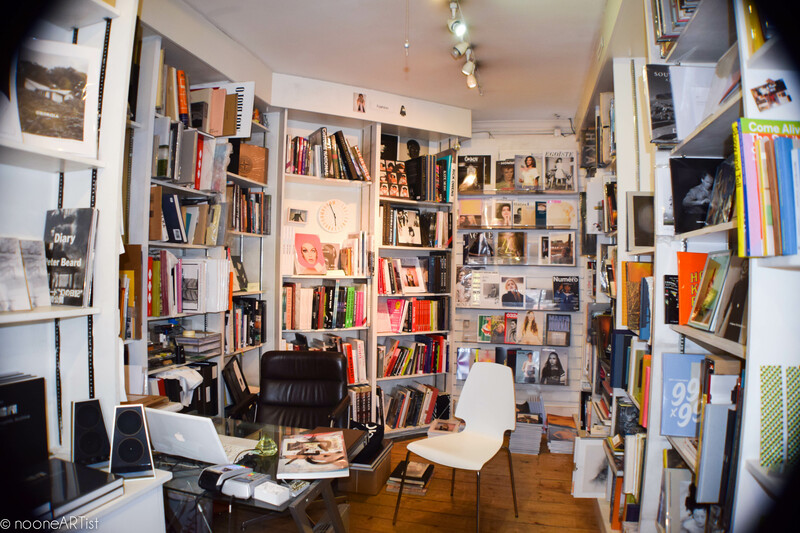 They stock photo books, fashion monographs, micropublishing, rare, signed and limited edition books, international magazines, look books and artist publications. 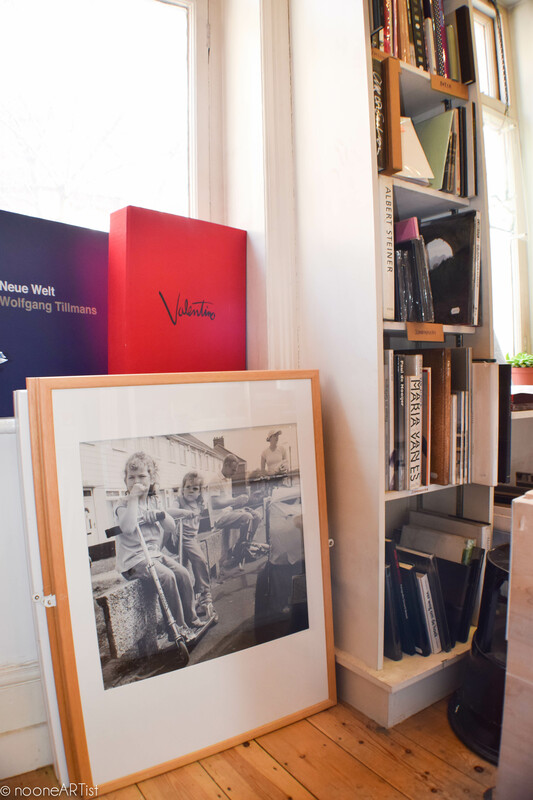 The director of CDR, Lucy Moore shared her experience on studying at Chelsea College of Arts, ongoing art projects, favourite books and some secrets of her house’s interior with nooneARTist. nooneARTist: Did you enjoy studying at Chelsea College of Arts? Lucy: Yes, I really enjoyed it. I spent 3 years there doing a BA degree in fine art. I specialised in painting. At the end of my first year the college moved from Kings Road in Chelsea to Millbank, where you can find it now. I was lucky because I spent some time in that building which was built in the 60-s as a dedicated arts school. We had amazing tutors so like Clyde Hopkins, Mali Morris, Roger Ackling and some great visiting tutors like Martin Westwood and Dexter Dalwood and Virginia Verran. nooneARTist: Chelsea college gives a lot of freedom to its students, did you find it helpful? Lucy: Yeah, I think that it did help me and I enjoyed it but you have to be really disciplined. It is quite good because that is what life beyond art school is about, if you choose to be an artist; you have to push yourself forward to get work done. nooneARTist: Does your knowledge of art history and art in general help you select books for your shop? Lucy: Yeah! Definitely! Sometimes I also organise reading groups, which are relatively academic events. So I did one not so long ago on a photography theorist called Siegfried Kracauer. I studied renaissance and medieval art history but I concentrate on 20th and 21st centuries artists at my bookshop. nooneARTist: Do you run any projects connected to art right now? 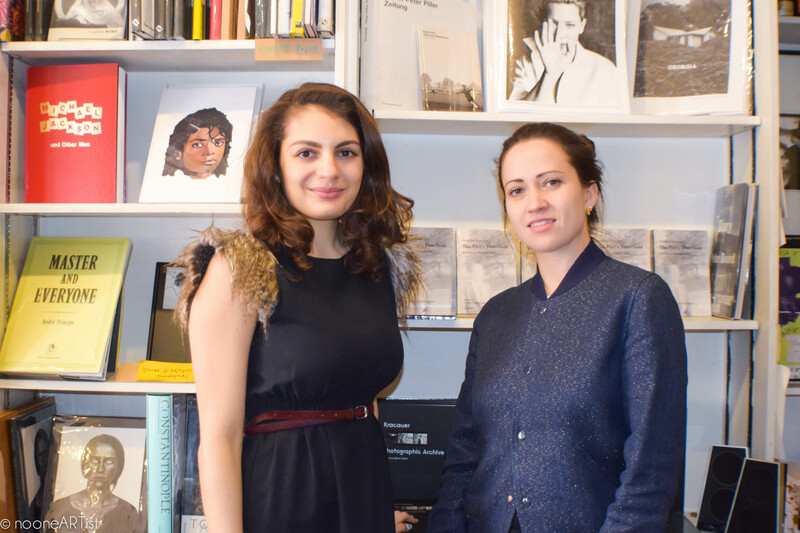 Lucy: At the moment I am working on a new book in collaboration with artist Marc Camille Chaimowicz. I have done some writing for the book which will be presented alongside some photographs that he has made. nooneARTist: What is your favourite book at the moment? Lucy: Koji Takiguchi, published by little big man. It is like a photo diary taken for long period of time by young Japanese photographer. nooneARTist: Lily Cole, who works with you at Claire de Rouen, created a website «impossible». Do you write posts there? Do you follow it? Lucy: Yeah! I follow it and all our friends are on it as well, so we can link up and share. “Impossible” is all about helping each other for free.Lots of people I work with are very very helpful. I do experience that kind of thing on a day to the day basis which is really nice. It is so inspiring what she has done. Lily has been working on “impossible” for a few years now, so it is exciting to see where it’s going. nooneARTist: What was you collaboration with Opening Ceremony (clothes&accessories store -Ed.) about? What was your particular role in it? Lucy: Basically, OC have a lot of stores globally and they normally work with local book dealers to supply books and magazines. 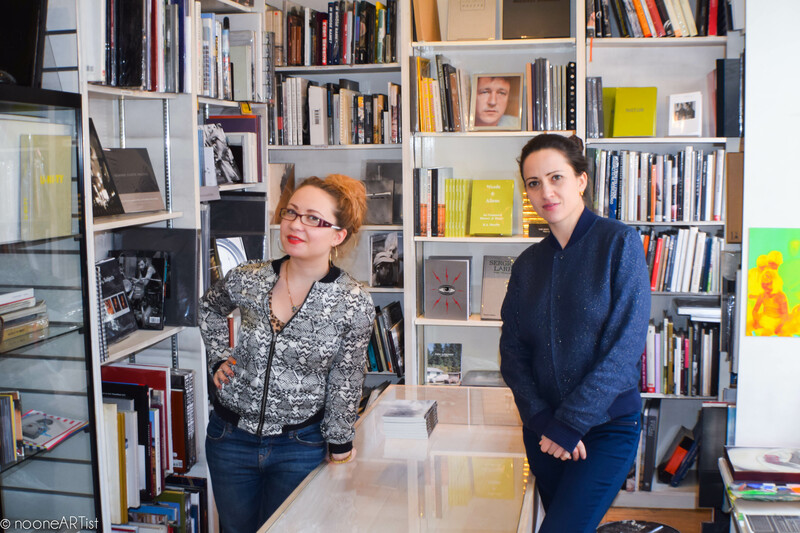 From 2012-13 I curated the books for their Covent Garden shop. nooneARTist: Which colours do you prefer to use when you decorate your house ? Lucy: I like a lot of taupe colours, dark browns and dark greens. nooneARTist: How would you describe your house in general? Does it have any particular style? Or you are trying to mix different things together? Lucy: It’s A mixture of different styles. There are some brand new pieces of furniture and then some from earlier periods. And there is some artwork as well, including some specially-commissioned pieces. nooneARTist: What is your favourite shop FOR home wear? nooneARTist: So are you also planning to change the interior of your book shop? Lucy: I am thinking about it actually. I might move in a few years but still, I would like to change this space. Just very recently I discovered a designer duo from Belgium who make really beautiful furniture. And it has inspired me to perhaps commission them, so they can do something for this shop. I do love the book shop how it is but it is nice to change things occasionally. 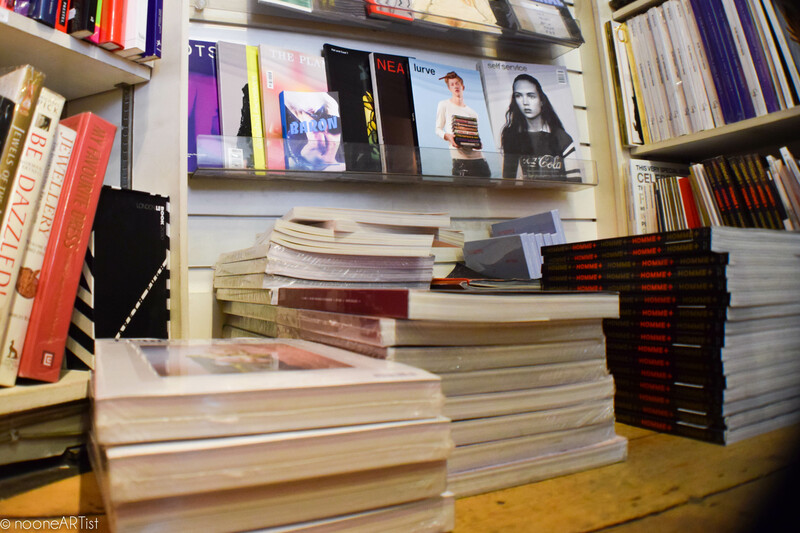 Tags: art, bookshop, chelsea, claire de rouen, london, Lucy Moore, tottenham court road. Bookmark the permalink.